Stephen King is arguably the most well-known horror writer of all time, and certainly the most successful, but Hollywood adaptations of his work have been hit-or-miss (more often than not, it’s the latter). Thankfully, with a superb grasp of the source material, the directing duo of Kevin Kölsch and Dennis Widmyer turn Pet Sematary into the exception rather than the rule. Pet Sematary was given the big screen treatment 30 years ago, and although it was received well enough at the time, by modern standards it feels more hokey than horrifying. Buzz around the remake has built steadily since the film’s premiere at SXSW, and although the crowds in Austin tends to embrace genre pieces with open arms, Pet Sematary is worthy of the praise lavished upon it. Working from Jeff Buhler’s tightly woven screenplay, Kölsch and Widmyer pay homage to King’s classic while updating the story of a supernatural burial ground for today’s horror aficionados, introducing some key changes that significantly alter the dynamics — especially in the film’s third act. Tired of the hustle and bustle of Boston life, Louis Creed (Jason Clarke) relocates to the sleepy little town of Ludlow, Maine. Along for the ride at his wife, Rachel (Amy Seimetz); their nine-year-old daugher, Ellie (Jeté Laurence); and cherubic three-year-old Gage (Hugo and Lucas Lavoie). The sprawling countryside home seems peaceful, aside from the occasional semi truck rocketing down the adjacent highway, but the property also comes with a local landmark: a burial site for the town’s pets, with gravesites dating back generations. 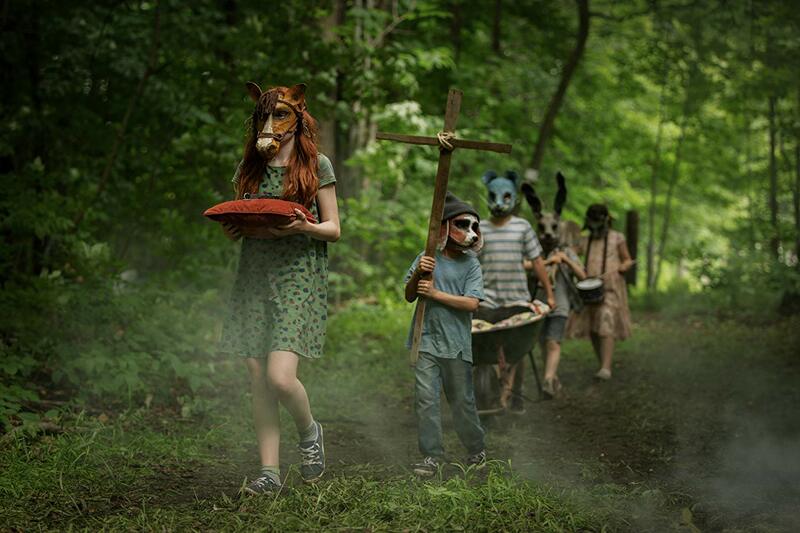 Louis dismisses the “Pet Sematary” (so named for the crude wooden sign hanging nearby) as a quaint artifact of small-town living, but Rachel finds it far more unsettling, particularly after spying a group of children traipsing through the woods with the body of a recently deceased dog, banging drums and wearing creepy homemade animal masks. Her growing unease is exacerbated by the constant creaks and groans of the old house and memories of her sister, bedridden with spinal meningitis and succumbing to a horrific death for which Rachel feels responsible. When Ellie’s cat becomes the victim of a speeding 18-wheeler, neighborly Jud Crandall (John Lithgow) offers to help Louis take care of the body, and the two set out into the woods. But Jud bypasses the burial site completely, guiding Louis through dense fog and swampy ground to a mysterious place where lightning crackles in the distance and otherworldly shrieks are heard just beyond the trees. He instructs Louis to bury the cat here, neglecting to mention the animal will reappear at the Creed house the following morning as though no injury had occurred, and possessing a newfound violent streak that leaves poor Ellie terrified. Fans of the novel or the previous film will know this event is a precursor to an even greater tragedy, and it’s here where Pet Sematary aims to subvert expectations (unless you’ve seen the trailer, which unabashedly reveals the twist and robs the film of its biggest surprise). Wracked with grief and once again shouldering guilt that doesn’t belong to her, Rachel flees the house with Gage while Louis descends into a harrowing downward spiral, driving him toward a choice that will unleash a Pandora’s box of horror on the Creed family. Kölsch and Widmyer’s decision to deviate from the source material has raised the ire of King’s fanbase, but in practice actually makes for a more compelling (and more terrifying) third act. The ending, likewise, is a major departure, one that feels even more bleak and disconcerting than the novel — a fairly tall order considering King himself once admitted the material frightened him so much he considered not publishing the story at all. Pet Sematary contains a few of the requisite jump scares the genre demands, but the cheap thrills pale in comparison to the overwhelming sense of dread the film creates. If there’s one thing Kölsch and Widmyer do spectacularly well, it’s establishing atmosphere, and as each of the adult characters become increasingly paranoid, so then does the audience. 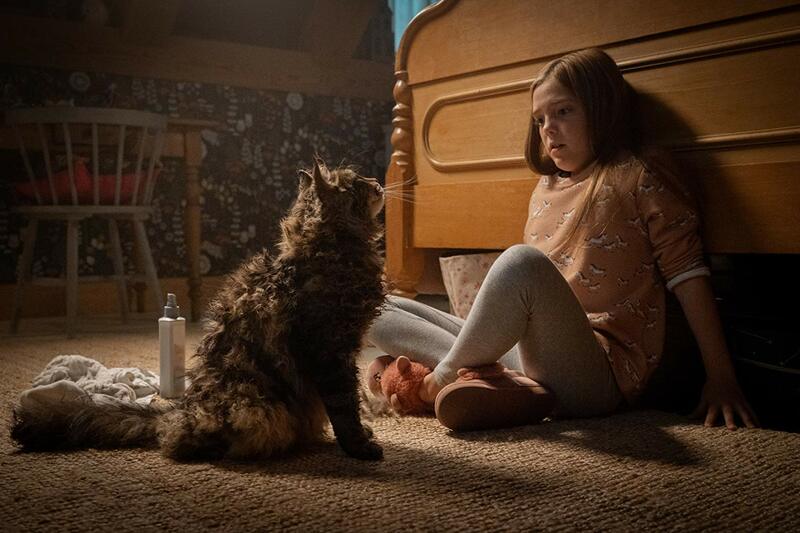 The tension-filled final moments flirt dangerously close with camp, but the directors manage to keep a firm grip on the reins to deliver a satisfying horror experience that earns Pet Sematary a spot among the upper echelon of King adaptations.